Unlike many firms of accountants, we love to get to know our clients and build long-lasting relationships. After all, if we don’t understand what makes you ‘tick’ we can’t help you make the most of your business. “As a sole trader I used to do my own accounts as I saw an accountant as simply another expense I could do without. However after an initial meeting with Andrew from Castletons my opinion changed. The knowledge these guys have on what can and can’t be done with regards to tax is second to none. I didn’t have the time, or the inclination, to keep up to date with the constant changes in tax laws or accounting practices so I decided to let the professionals do it for me. I have to say that since I made the decision two years ago I haven’t looked back. The team at Castletons have always made themselves available to me to answer any questions I have had and have always advised in a friendly and professional manner. Since starting relationship with Castletons I have expanded my business into a number of different areas and I have always taken advice from Andrew on the most efficient way to structure things. He has always been there to assist with the workload if I have asked and I have to say that hiring Castletons to do my accounts has been one of the best decisions I have made so far. Whether talking about simple things like the best way to buy a car or discussing more complicated items like the sale of assets, Andrew has always been friendly and approachable and I would highly recommend him, and Castletons, to anyone looking for a local, professional firm of accountants. 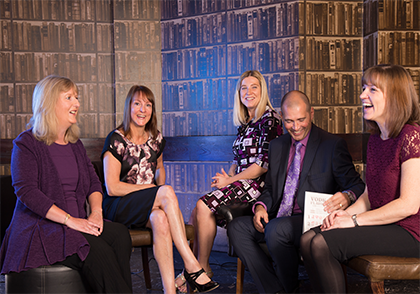 For an informal, no-obligation chat about how the Castletons team can help you and your business make more money and pay less tax, call now on 01625 524127 or click here to contact us.